Unless you’ve heard UNA before, odds are that they will not sounds like you expect them to sound. Even reading descriptions of their sound (trip hop/electronic/downtempo) may not prepare you for their actual sound. 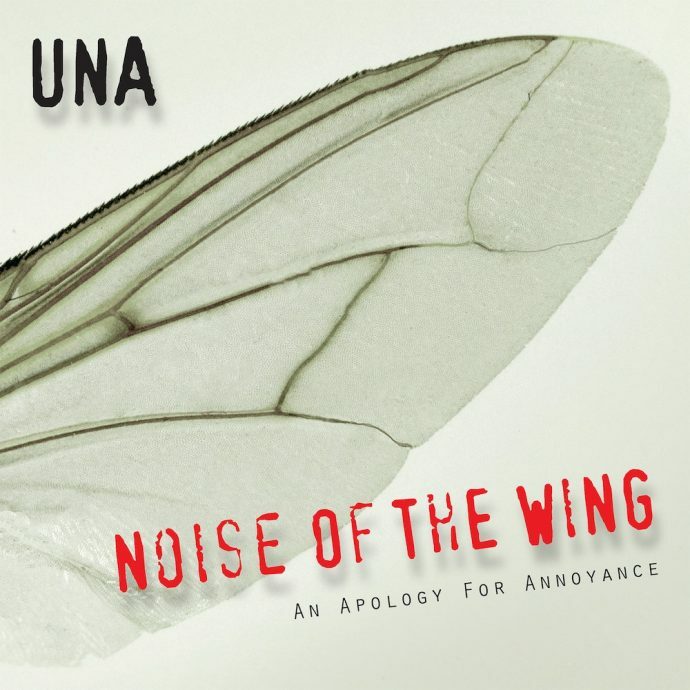 UNA’s latest release, Noise of the Wing, has bouncing instrumentals at the forefront competing with slinky, R&B vocals. It’s a strange mix, made stranger when you see the album cover that looks like an early 2000s alternative band. The Los Angeles-based quartet is made up of Jennifer Nice (vocals,) DJ Eddie Barajas (turntables,) Richard Larsen (guitar, keyboard,) and Scott Eric Olivier (synth, guitar, and drums;) they’re a talented group, but they’ve got some weird taste in writing and arranging. There are three remixes on the album by different artists, each bringing a very different feel to the songs. Charles Webster’s remix of “Vacancy” is a deep house track, taking only the breathiest of vocals and putting them over a looped beat. It is a completely different song from the original, which has watery synth and distorted guitar. The remix sounds like a completely different song – a more conventional song. UNA is made up of very talented musicians who are great at their crafts – they just have strange tastes in combining genres. There’s an overall feeling of the trip hop instrumentals being at odds with the R&B vocals – and yet the songs still lack the drama of both genres. There’s a lot going on here, and none of it is bad on its own, but it doesn’t work so well together.